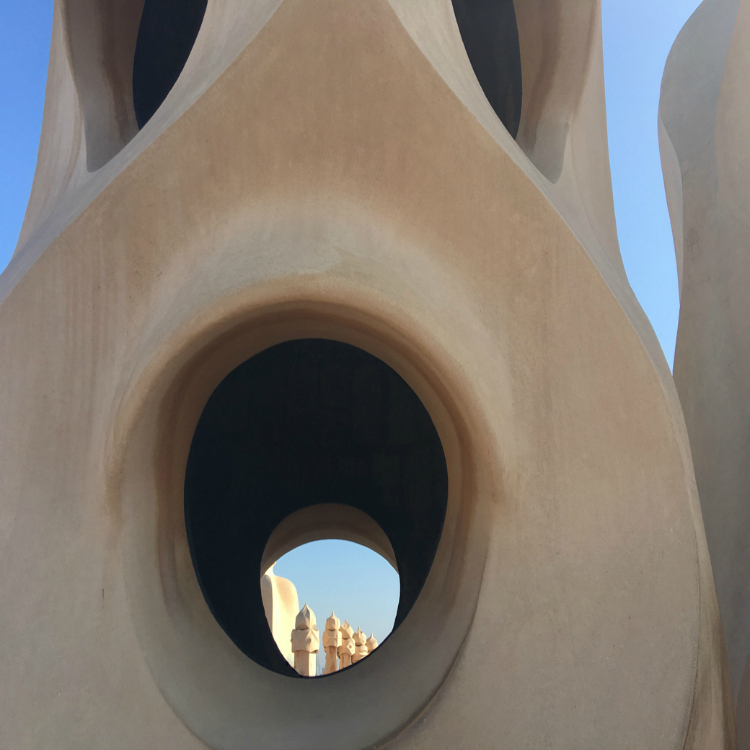 From the outside Casa Mila, commonly called La Pedrera, is a beautiful and unique building by Barcelona’s very own celebrated architect Gaudi … it seems understated with it’s soft undulating facade in simple stone and twisting ironwork BUT it has a secret that can not be seen from below! 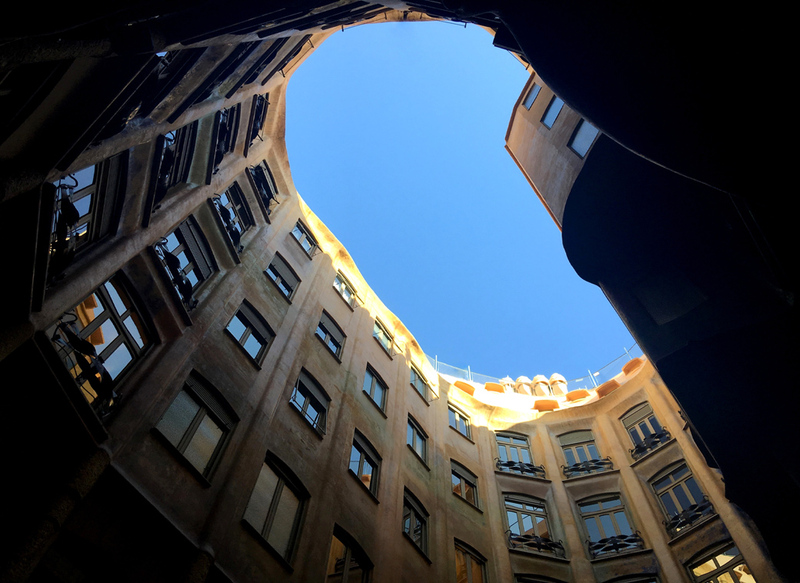 On entering at street level into the open central courtyard you get the first glimpse and hint that something extraordinary looms above … it’s excitement that draws you up on to that rooftop to discover exactly what it is going on up there! 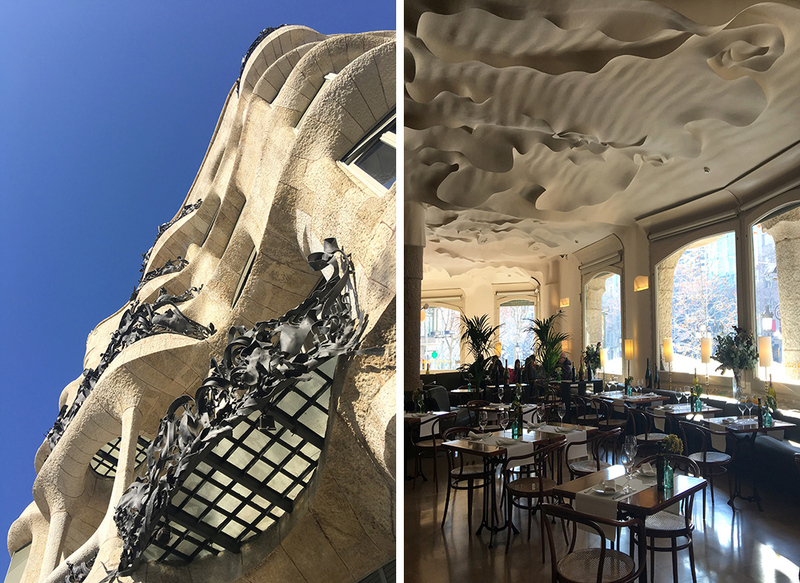 And as soon as you step out the roof comes alive with shapes, arches and structures that play and frame the 360 spectacular views – along with undulating floors and many a hidden nook and cranny!! 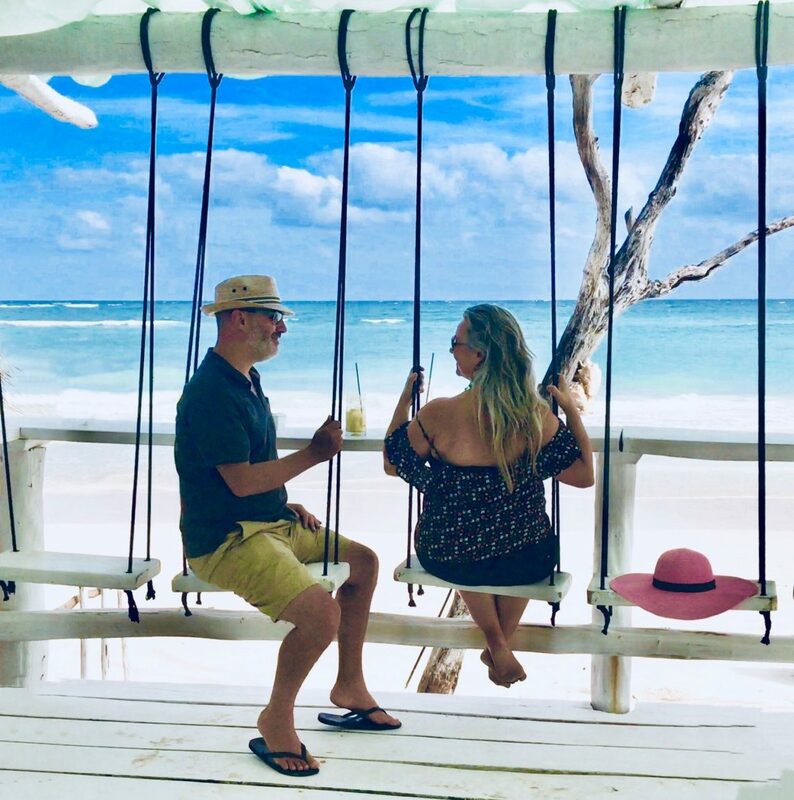 You can’t help but want to explore and not miss a thing. 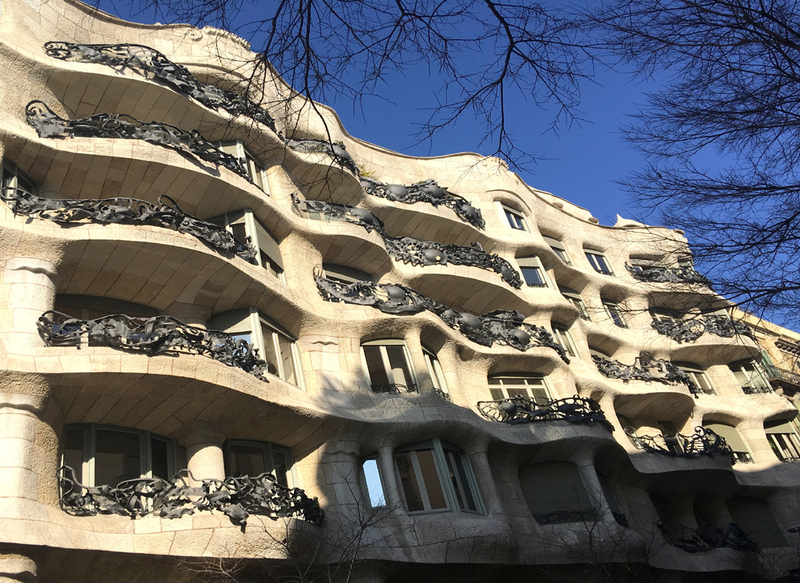 We admit we had the perfect bright blue sky as our backdrop when we visited (January !!) 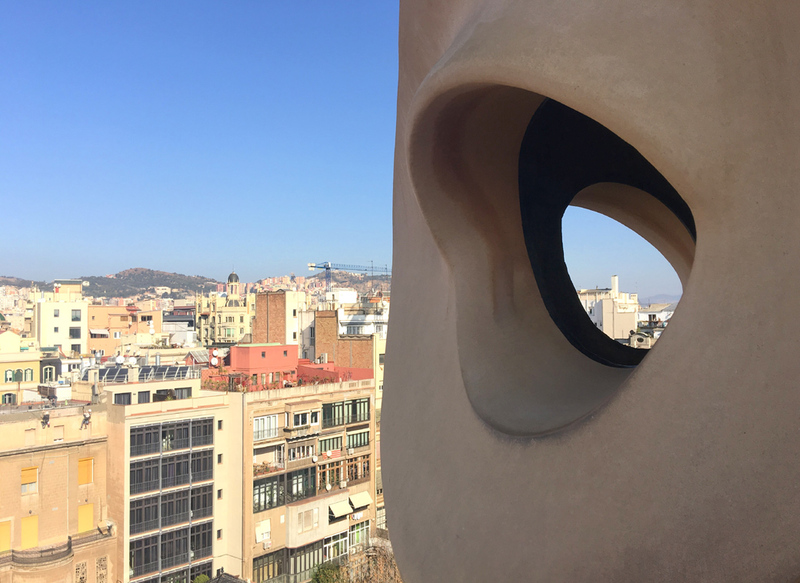 – as it set off the sculptures, views and framing that Gaudi so brilliantly positioned, beautifully! 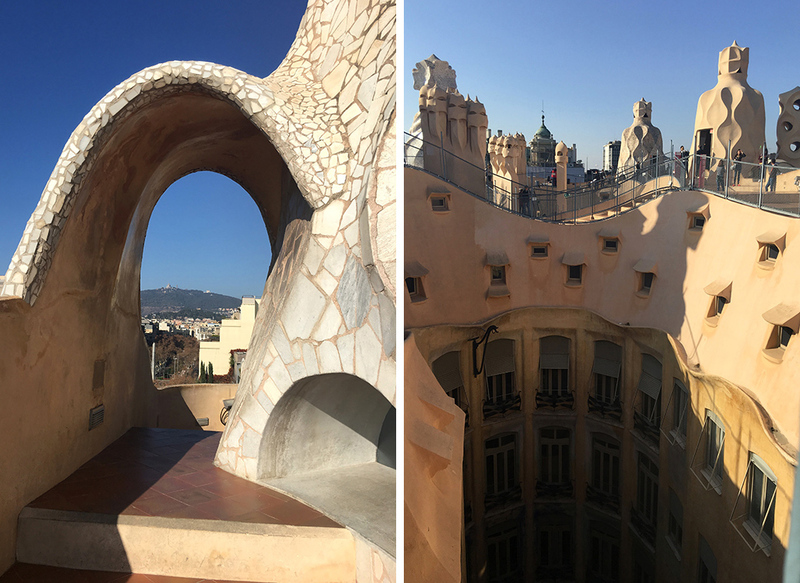 It was a landscape from another world and amazing to think that this was conceived, commissioned and built well over 100 years ago! 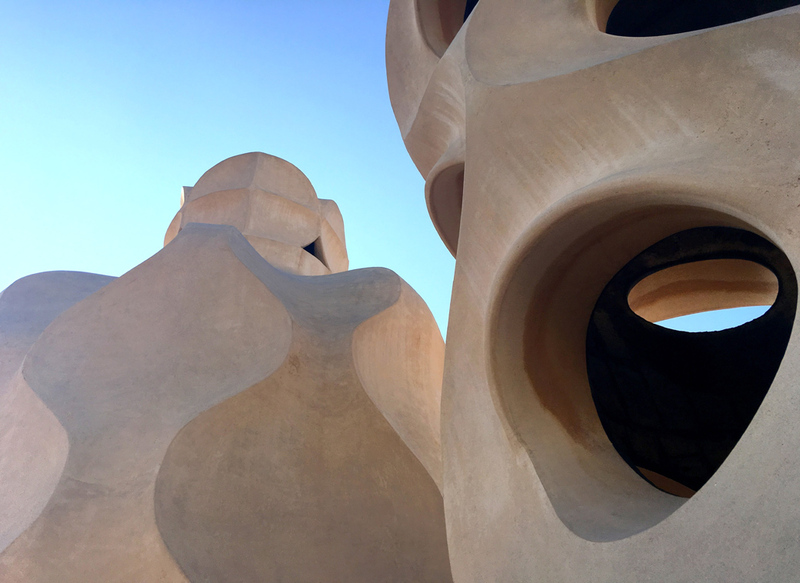 Incredible, and we spent ages just walking around and amongst it all – marvelling at the panorama at every twist and turn. 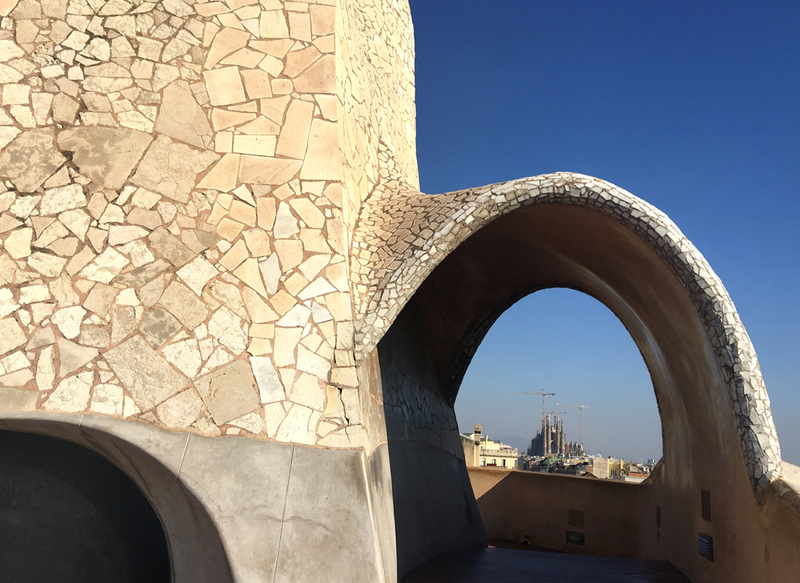 Gaudi even managed to perfectly frame his other mammoth project, in the distance across the city – the Sagrada Familia cathedral – the build of which commenced in 1882 but it is still not finished today 2016 … a forecast of completion is said to be 2026 !! 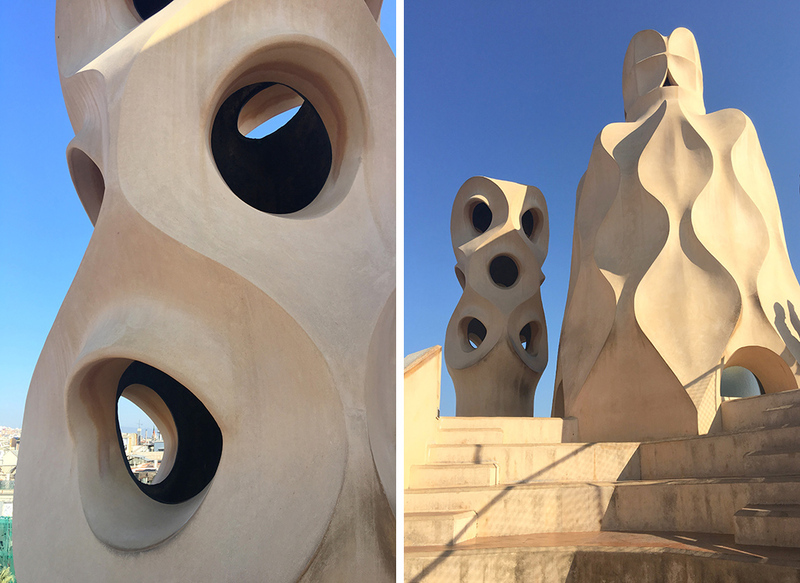 Anyway Casa Mila is a sight to behold and experience and we loved our time on the craziest rooftop in Barcelona!